She looks like Milla Jovovich? poor Kermit!! Good, but not your best work. I don't know anything about art, but I know I like it. Wow! That's a beautiful one. 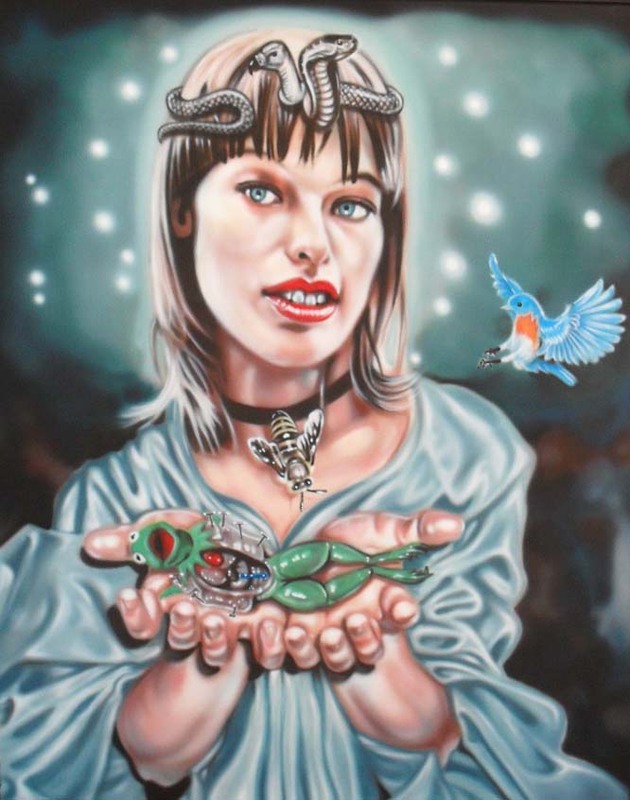 I agree with Patti D. It reminds me of Milla Jovovich too. Great painting. I LOVE your art! You should really think about selling it. It borders on surrealism sometimes. You could be a new Salvidor Dali. :D Keep it up!